NASHVILLE, Tenn. (AP) — Tennessee Republican Gov. Bill Haslam said he will decide whether to run for an open U.S. Senate seat sometime after leaving office next month. The two-term governor told The Associated Press late Tuesday that he’s planning a short vacation with his wife after leaving office Jan. 19 to consider his decision. Haslam said he doesn’t have a deadline but won’t take six months. 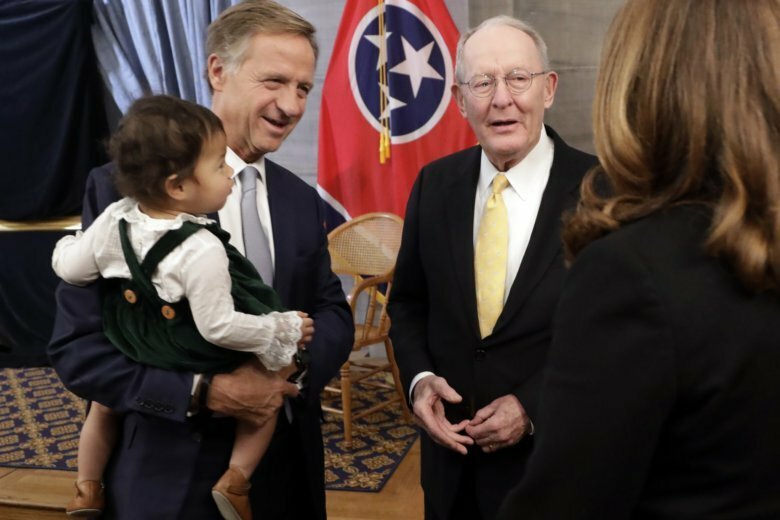 When Republican Sen. Lamar Alexander announced Monday that he wouldn’t run again in 2020, Haslam’s name quickly topped the list of possible replacements. Alexander’s decision gives Haslam his second chance in less than two years to think over a possible Senate run. In October 2017, Haslam announced that he would not run to replace retiring GOP Sen. Bob Corker, whose seat was won last month by Republican Sen.-elect Marsha Blackburn. But Haslam, who is highly popular and can self-fund campaigns with his personal wealth, said Tuesday that this time around is different because he’s leaving office. Corker, who said he’s spoken with Haslam about the opening, said Haslam might take until the beginning of March to make a decision. Haslam said Alexander gave him a call the day before he announced he wouldn’t run again and was “very encouraging.” Alexander has said he’s not going to be involved in picking his successor. U.S. Ambassador to Japan Bill Hagerty’s name is being floated as a possible GOP Senate candidate. Corker said Hagerty would be highly unlikely to run if Haslam does, since Hagerty was once the governor’s economic development commissioner. Republican U.S. Rep.-elect Mark Green, who takes office in January, also could make a Senate run, and a laundry list of others could, as well. Another variable is how President Donald Trump, who visited Tennessee multiple times to help Blackburn, would view a potential Haslam candidacy. Haslam in October 2016 urged Trump to step aside as the GOP nominee after a tape of him talking about kissing and grabbing women surfaced. But Haslam has since dramatically dialed down his criticism of the president and has appeared with him during visits to Tennessee.